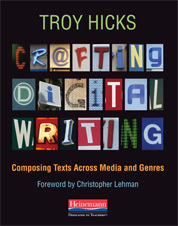 There are already some great conversations getting started about mentor texts in the digital writing workshop, and I have lots of reading to catch up on! 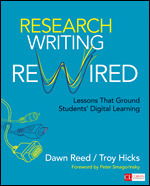 Before I share my thoughts on the first video, I have to say that I am truly humbled to see how the ideas that I have been thinking about, reflecting on, and continuing to develop for years — especially related to the digital writing workshop — are coming through in so many other teachers’ voices. For that, I am both humbled and truly thankful. 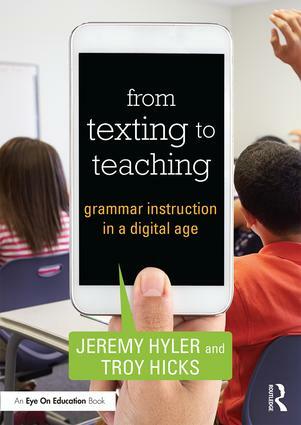 When Franki shared her session about digital mentor texts at the conference in October and again at NCTE, I saw the ideas that I introduced in the book take yet another form, and gain momentum from another thoughtful, reflective teacher. 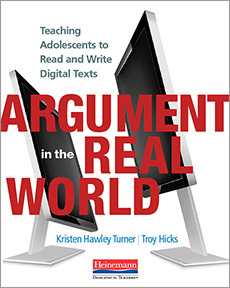 Being able to write this series with my long-time NWP colleague, Kevin, as well as the many new colleagues I have met in the past three years — Franki, Bill, Katie, and Tony — is a great way to think about my next book, this next semester, and the future of digital writing in our schools and classrooms. So, all that said, it is time to jump into a first video. For each video that I share this week, I will try to offer a few questions and ideas for you as a bit of pre-viewing thinking, then I will post the video and/or link to it on YouTube, and then will offer some kind of video annotation/commentary. I do all of this both to show examples of great mentor texts as well as to share, at least indirectly, ways of responding to digital videos. 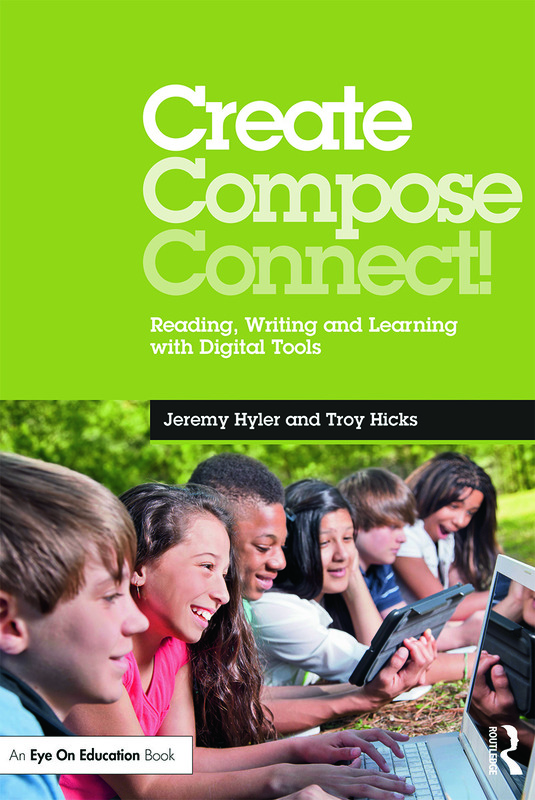 While I will not talk a great deal about assessment, at least not in the descriptions of the videos, I do hope that you will think about how tools (like my use of Jing today) can help you assess digital writing, both formatively and summatively. For the first professionally-produced video that could work as digital mentor text, I thank my editor from Heinemann, Tobey Antao, for pointing out this mockumentary, “The Majestic Plastic Bag,” produced by Heal the Bay, located in Santa Monica, CA. A smart and concise summary comes from Sami Grover on Threehugger.com. For the first time ever, a team of crack wildlife film makers have tracked the “majestic” plastic bag on its long journey from its urban birthplace all the way to its natural habitat—the pacific ocean. Quite remarkable. Narrated by Jeremy Irons, this BBC-style mockumentary captures the journey of one lone plastic bag as it traverses many dangers—from terriers to park services—on its long and arduous journey to join its fellow petroleum products in their natural and enduring habitat—the Great Pacific Garbage Patch. Created by Heal the Bay, the video is a fun, and in many ways eerily (and ironically) beautiful, call to action. Campaigners are urging Californians to support to support AB 1998, a California bill that would ban plastic bags at major retailers. While the statewide ban did not go into effect, the video offers us some lessons as a digital mentor text, especially in relation to point of view, and of parody. So, please watch the video, then my commentary (my apologies in advance for the screencast, as it is taking a long time to buffer and I am not quite sure why). I am using Jing for the annotation, and while this allows me to put audio comments on the version of the film playing in the background, it does not necessarily allow me to create an online space for students to respond and have a discussion. I tried using VideoANT, and may again later in the week, but this particular video didn’t work well with that annotation tool. That said, everything about using technology in education comes down to the fact that we often need to improvise, and this works fine. So, here is my “director’s cut” type of commentary, via Jing. As a professionally-produced digital mentor text, The Majestic Plastic Bag has quite a few points to take in mind as we talk with students. In order to enjoy this film — or any other parody — a viewer has to have enough knowledge about the genre being parodied, as well as enough knowledge about the topic in order to make things funny. This reminds me of Barry Lane’s ideas behind Wacky We-Search, where the facts are presented in a different, humorous manner, rather than in a straight “research paper” kind of way. Humor — good humor — requires the writer to bring wit and insight to a topic through creative ideas and expression. While I hesitate to make connections to texts that we may not be able to use in school, obviously The Onion, the Daily Show, and the Colbert Report offer us many opportunities to examine parody. This particular film uses a variety of action shots — close ups, mid-range, and wide-angle — to show the journey of the bag. Music and sound effects also help to set the mood of the movie, mimicking the style of a nature documentary with perfect precision. Two University of Minnesota professors offer some great resources on documentary film-making techniques: Robert Yaknhe’s list and Richard Beach’s strategies from the Teaching Media Literacy wiki. Helping students understanding the techniques, those moves that a digital writer can make, will help them craft a better video. 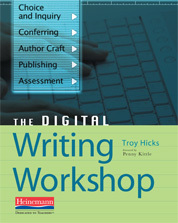 Doing digital writing well is not just a copy/paste, point/click endeavor. It requires technique. Finally, as a film ultimately intended to be persuasive, not just informational, this film speaks to the larger political purposes of designing, composing, publishing, and distributing digital writing. As a video on YouTube, it is easy for people to tweet or post to social networks, and of course is open for commentary. Also, this film brought in Jeremy Irons as a narrator, sure to help its search/ranking on Google and YouTube. The filmmaker and Heal the Bay have been very savvy in producing this film, widely appealing to a variety of audiences, just in time for the vote in CA. Also, it is brief and clearly a parody, which helps its ability to “go viral.” I am not sure how popular it was in the regular media outlets, as most Google searching reveals links from niche websites focusing on environmental issues, yet the nearly 1.6 million views suggest that it did have a wide reach. As you think about documentary (or mockumentary/parody) as one possibility for your students, I hope that some of these initial thoughts are helpful for you, both in viewing and composing this type of digital text. That act of parody requires a certain level of critical thinking — I am not sure my students could pull it off. But I love how digital tools open the door for those possibilities in a way that traditional print media may not. If the bag story had been a short story, it would not have been nearly as powerful a experience. The video, and narration and music, tap into an emotional response in interesting ways.